Palestine McWilliams, 76, of Moline, passed away Sunday, November 4, 2018 at her home. A funeral service for Palestine will be held 10:00 a.m. Saturday at the Word of Life Christian Center, Rock Island. Visitation will be held one hour prior to services at the church. Burial will be in Chippiannock Cemetery, Rock Island. Memorials may be made in care of the family. Palestine was born on July 16, 1942 in Meridian, MS, the daughter of Henry Rush and Helen McCoy. She married Jack McWilliams in Mississippi. Palestine worked for John Deere, as a local daycare provider and she also worked for the Alliance for the Mentally Ill. She was a member of Greater Antioch Baptist Church, Rock Island and had previously attended People’s Missionary Baptist Church, Rock Island. Palestine loved to play spades and bingo with her friends. 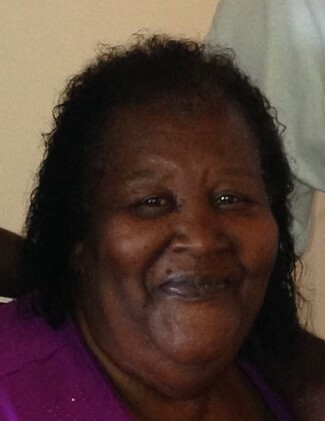 She greatly enjoyed listening to the blues and Gospel music, cooking and family gatherings. She confessed to Christ at a very early age and her faith was unwavering. She greatly loved her family and would always help all of those in need. She will be greatly missed. Left to cherish her memory are her sons, Larry (Denise) McWilliams, Atlanta, GA and John (Lorraine) Young; step daughter, Barbara Ann Grace and special son, Melvin Dickerson, all of Rock Island; 13 grandchildren, including Dornesha and Demetrius McWilliams; 10 great grandchildren; special sister, Octavia Hubbard and a host of cousins, other loving family members and friends. She was preceded in death by her parents, husband and daughter, Helen McWilliams – Jones.